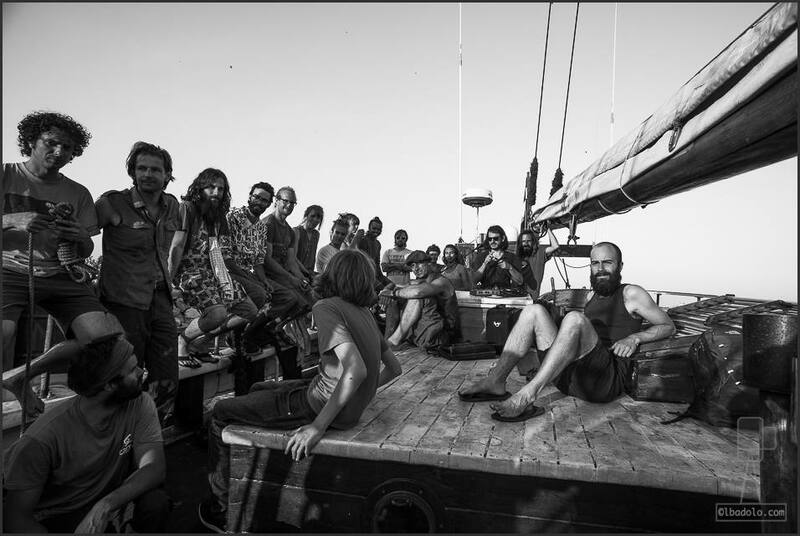 In 2016, “Hawila” was the vessel for nomadic performance project “Sailing City”, where acrobats, dancers, musicians and installation artists created events in collaboration with climate scientists, activists and engineers. A series of public events for all ages on the water and in harbor areas, the ship being a platform for exploring artistic dialogues around meaningful topics. The aim: finding new ways to communicate about the state of the planet and our own states of being. “Sailing City” offered entertaining performance experiments and environmental debates in the unusual atmosphere of ocean and docks. As participants in the “Sailing City” project, our wish is to help eliminate powerlessness and instead engage in positive alternatives, in meaningful symbiosis with our environment. Like many around the globe, we do not want to contribute to the numbness and greed of consumer culture. 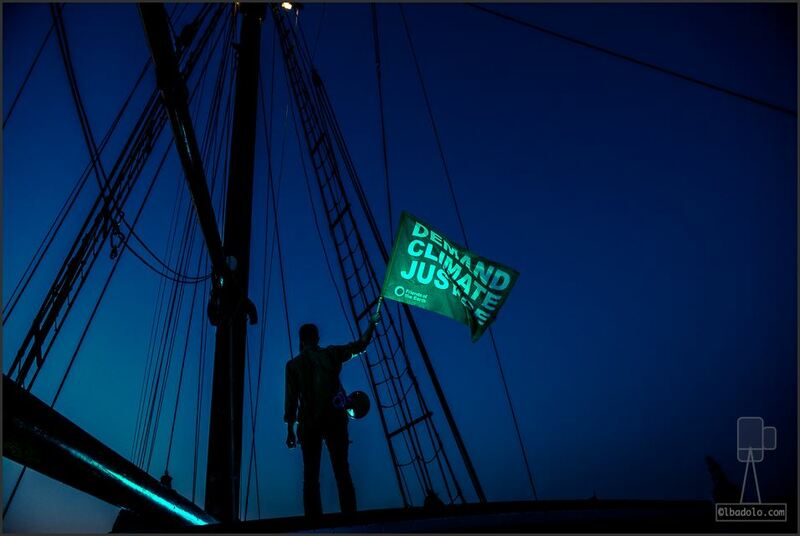 The consequences of lifestyle, unsustainable growth and fossil fuels today affect the living conditions of more and more, creating irreversible damage to the nature we ourselves are a part of. In Sailing City, we take the time to be inspired by climate change and explore the paradoxes about our own lifestyle. 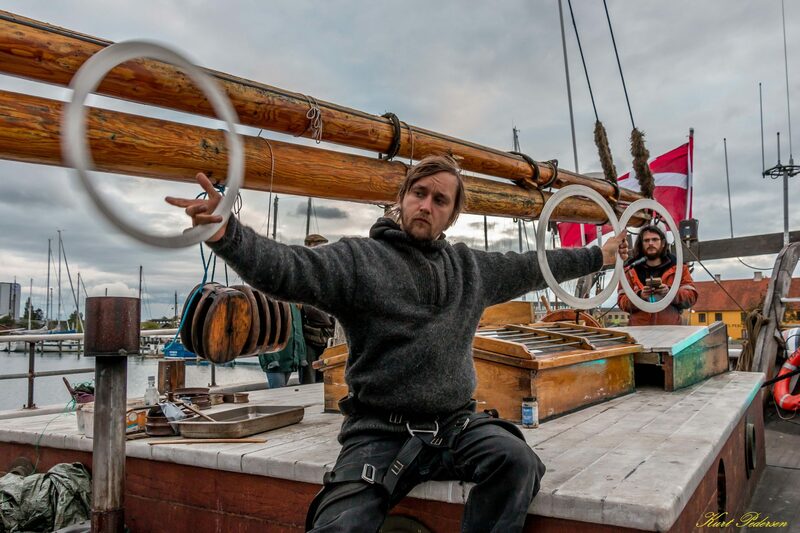 Artists and activists challenge and play in the unusual physical space surrounding the old wooden sailing ship. 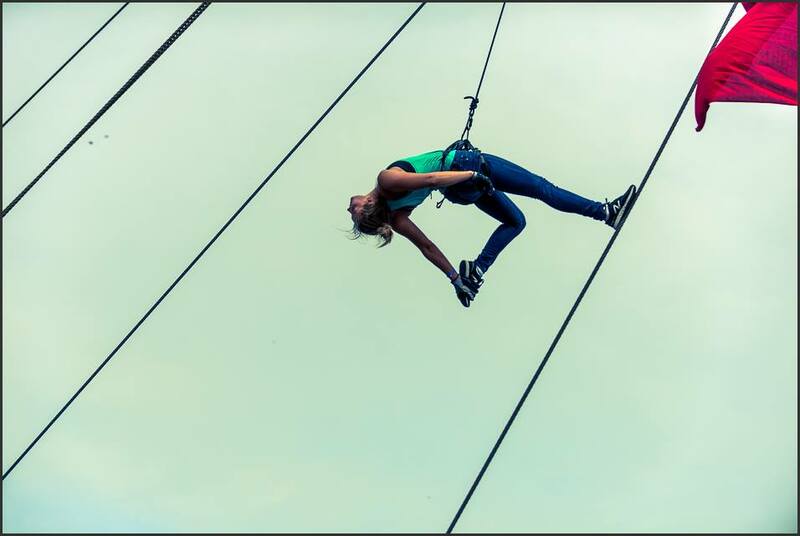 Scientists share stories as dancers improvise, musicians float in masts, and acrobats walk on water. Onboard Hawila you may find permafrost researchers, plastic-molecule experts, contact dancers, percussionists, sea women, camera men, installation artists, poets, diesel engineers, agricultural developers, computer designers, physiotherapists, yachtsmen and more. Dancers and performers: Zinn Da, David Kummer, Dorte Bjerre Jensen, Khatik Rajmohan, Elise Bjerkelund Reine, Juli Gabor, Moa Asklöf Prescot, Kine Marie Hansen, Johannes Starke, Deva Knopf, Laura Cruz Torres, Carmen Medina, and friends. Researchers and activists : Samuel Faucherre, Gabriele Sutera, Thor Markussen, Rasmus Gonsen, Tash V, Milos Cerny, Anton Corbal, Margit Lund, and friends. More information on Sailing City’s Copenhagen Dreamhouse page. photos courtesy of Kurt Pedersen and Lassina Badolo, , video courtesy of Anton Corbal.